Today marks the 61st Anniversary of the 311° Gruppo Volo belonging to the Reparto Sperimentale Volo. 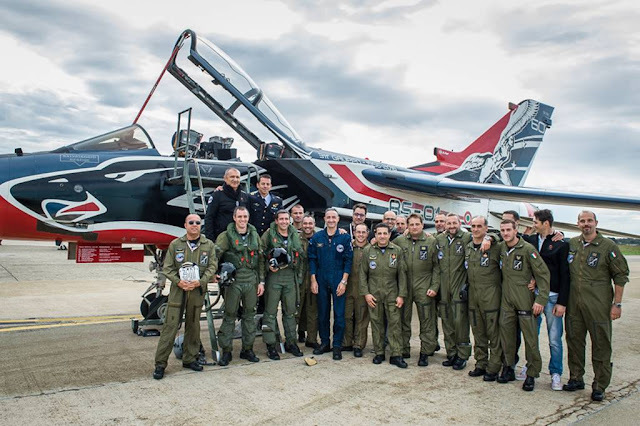 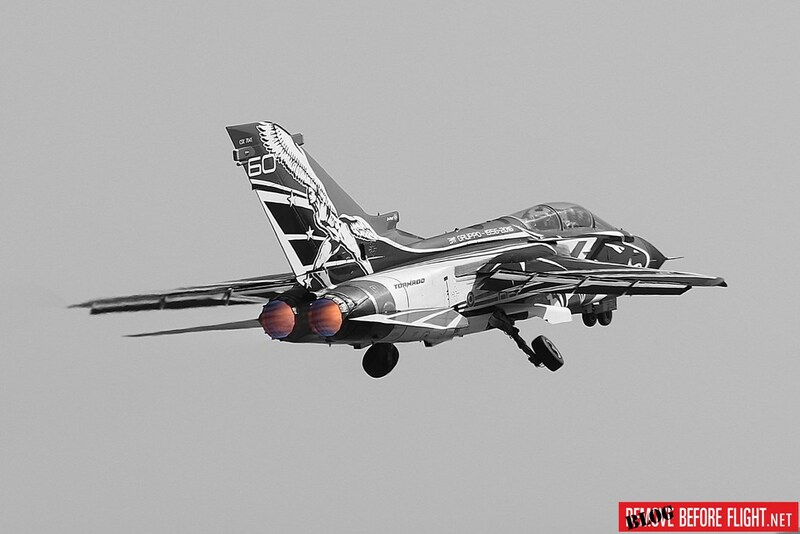 We pay tribute to the Squadron through the shots shared with us by many aviation enthusiasts. After a succesful 2017 airshow season, the Italian Air Force Tornado RS-01, serialled CSX 7041, is temporarily grounded for maintenance. 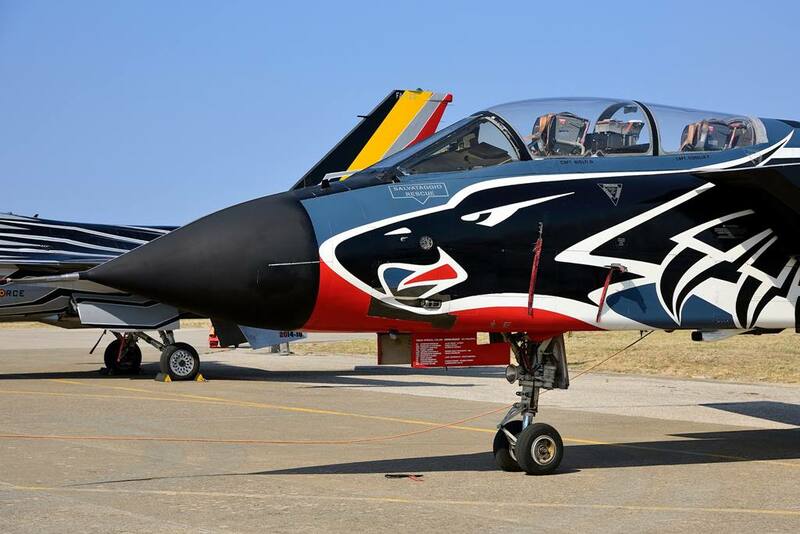 No further occasions there will be to admire the red-black-white A-200 in the sky, it will be back gray soon. 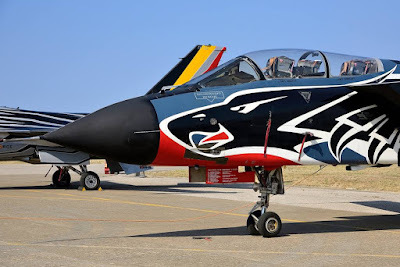 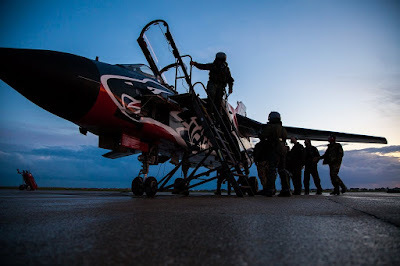 The aircraft received the special livery about a year ago when the Reparto Sperimentale Volo - RSV (Flight Test Unit) celebrated the 60th Anniversary of the 311st Flight Group. 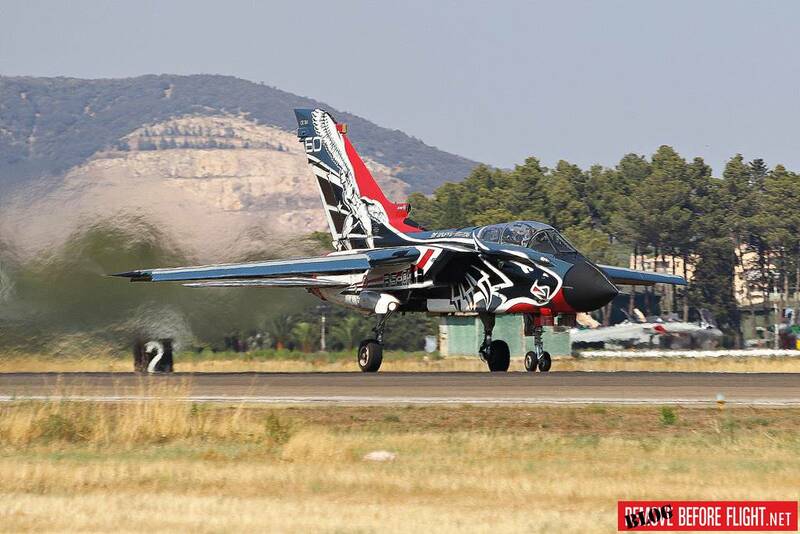 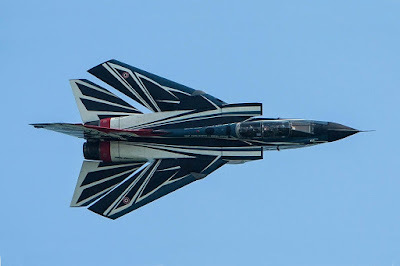 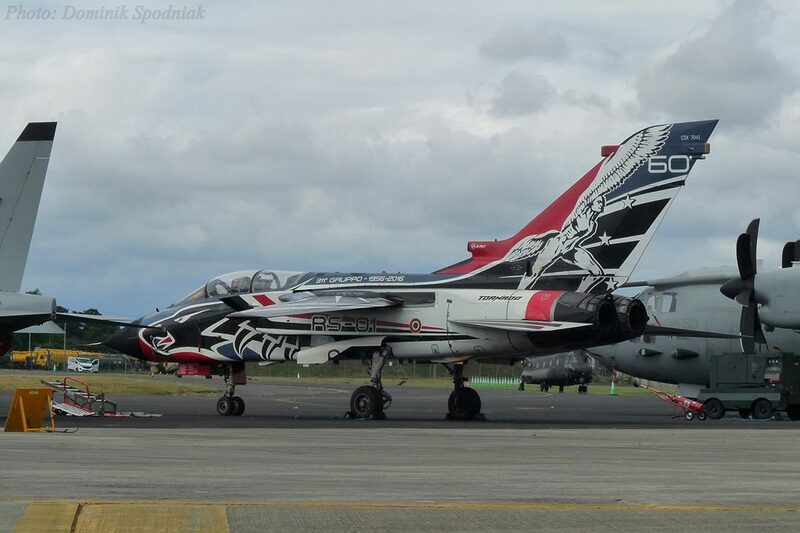 On that occasion the amazing Tornado special color made its first public appearance and flying display. 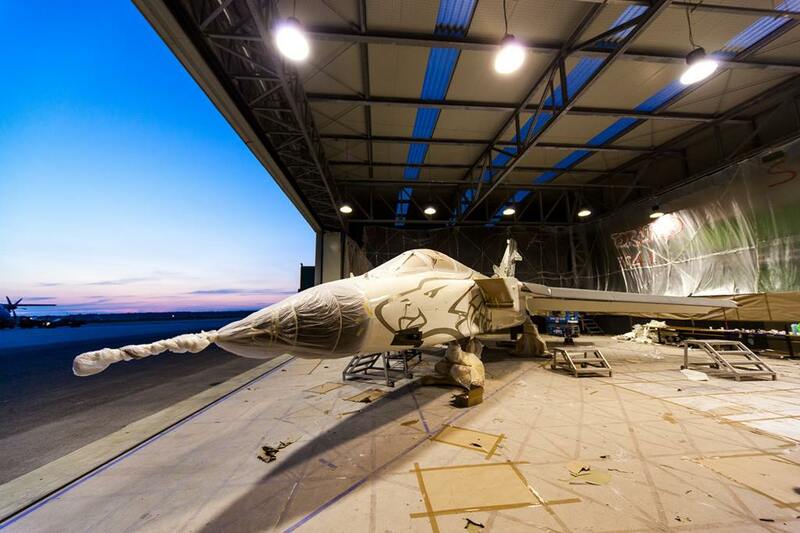 The special livery of the aircraft was painted by Drudi Performance, an Italian company specialized in racing design. 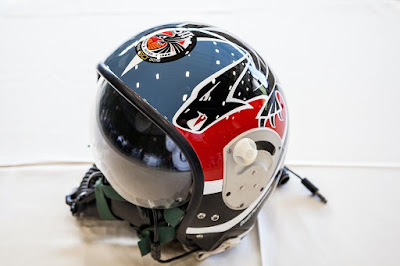 The owner Aldo Drudi became famous when he started painting helmets for many MotoGP riders including Valentino Rossi and Marc Marquez. The livery is characterized by a stylized sparrow along the fuselage and wings that represents coat of arms of the 311st FG. 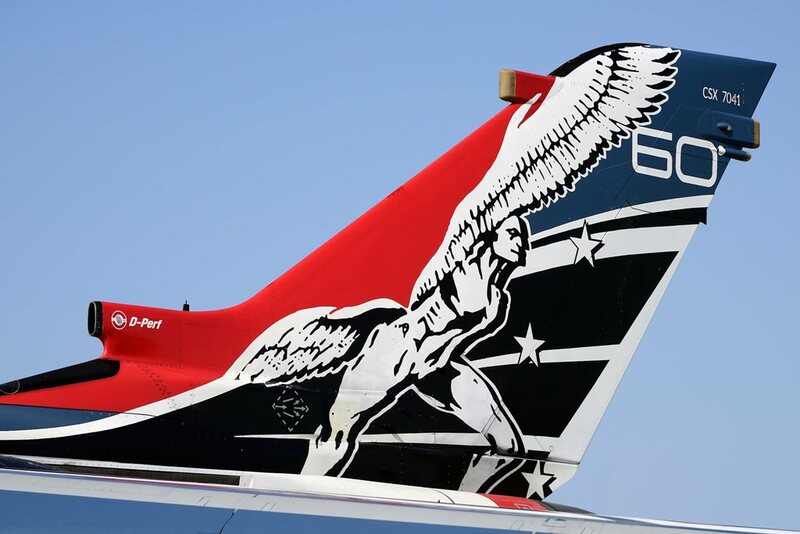 In addition, the Icarus included in the RSV heraldry covers the aircraft tail. The last public appearance of the fighter took place during the Misano MotoGP race when it made three gritty low-passes on the circuit, Sept. 10, 2017. 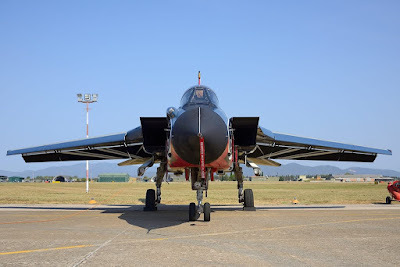 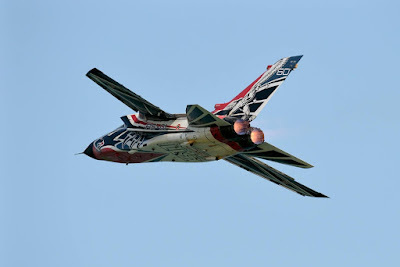 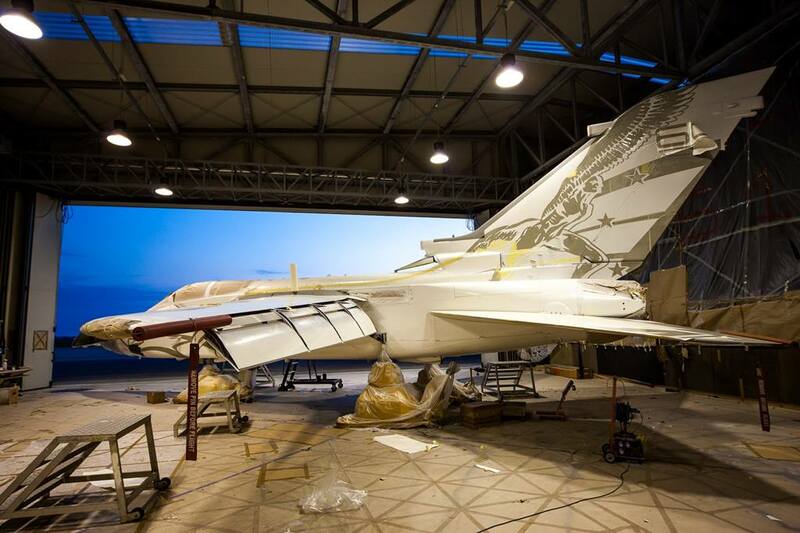 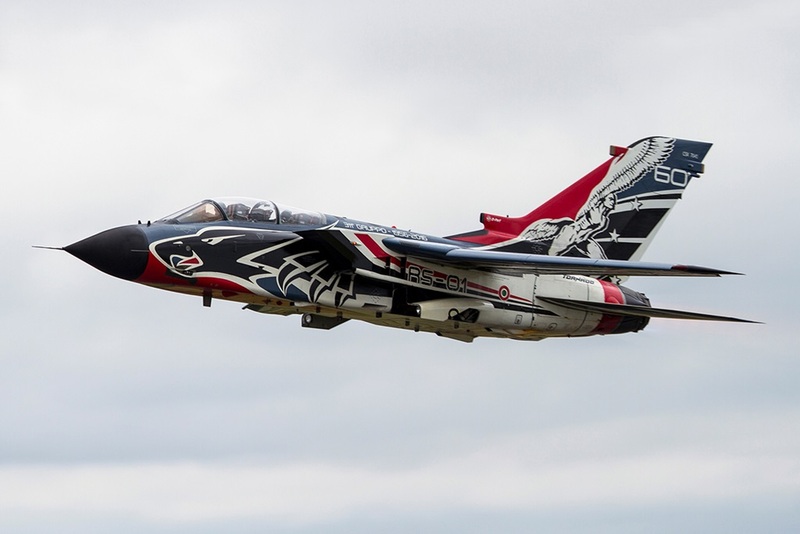 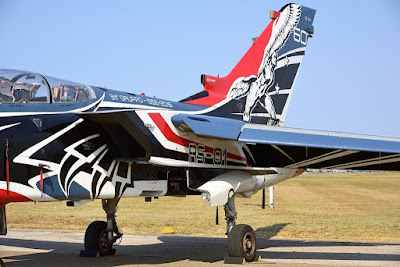 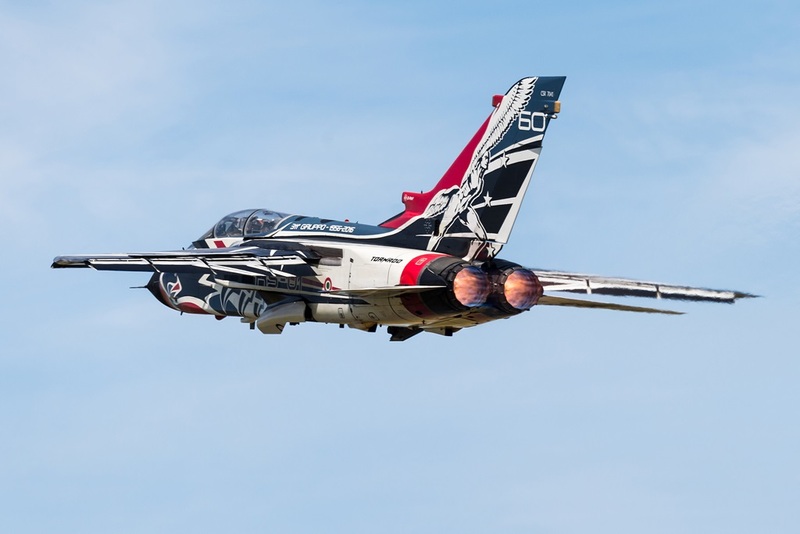 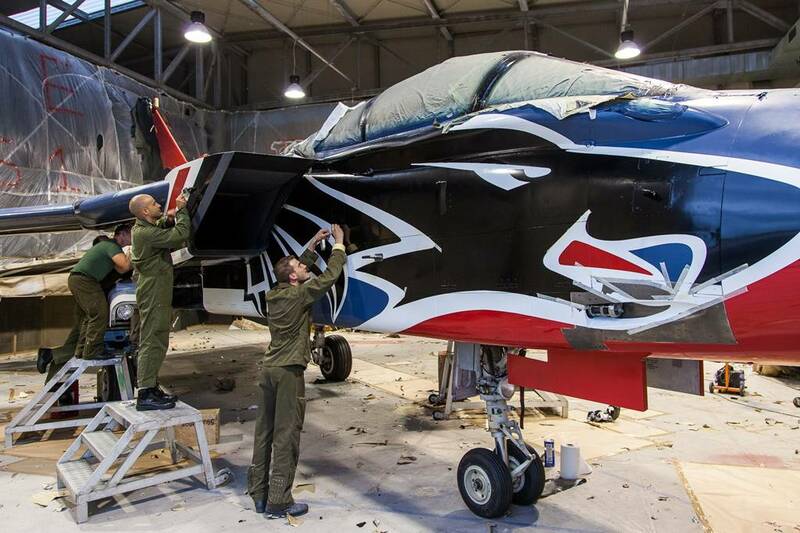 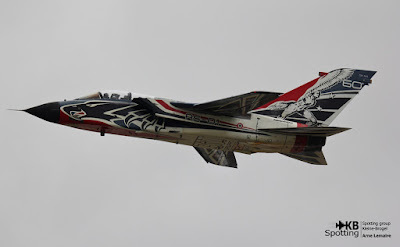 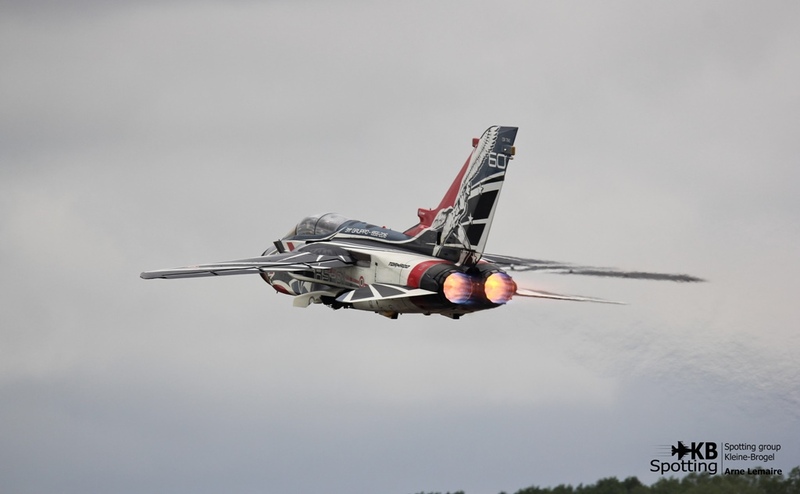 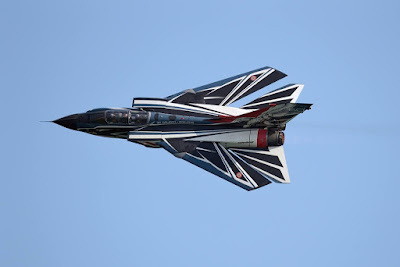 During the last season the Tornado has made several demo displays all over Europe, creating excitement among aviation enthusiasts and the media. 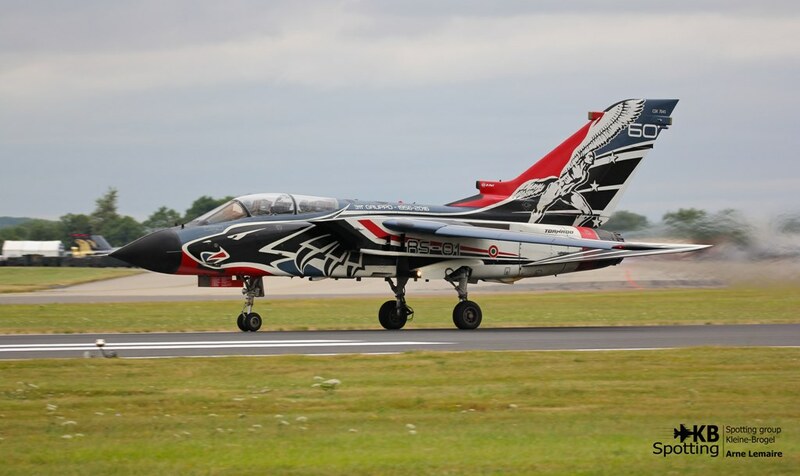 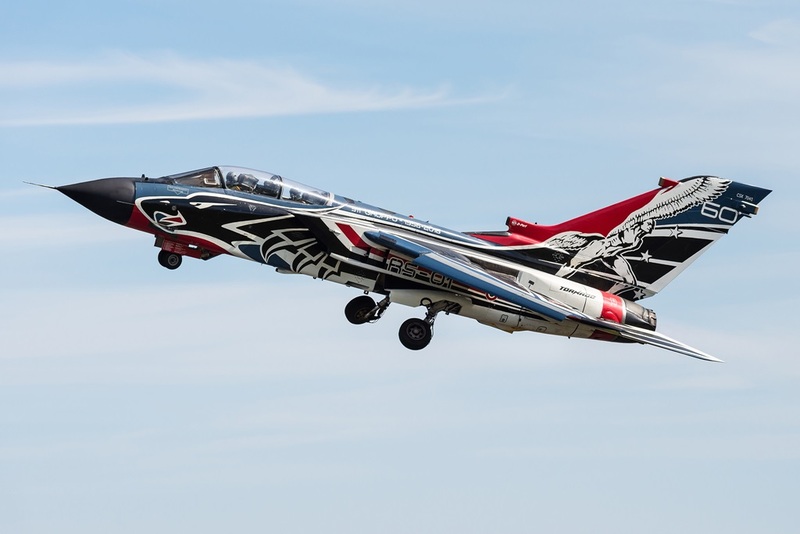 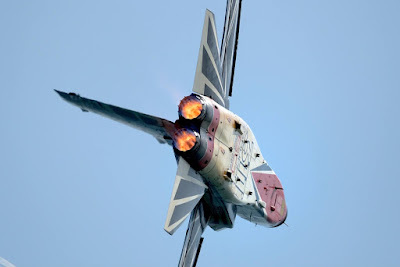 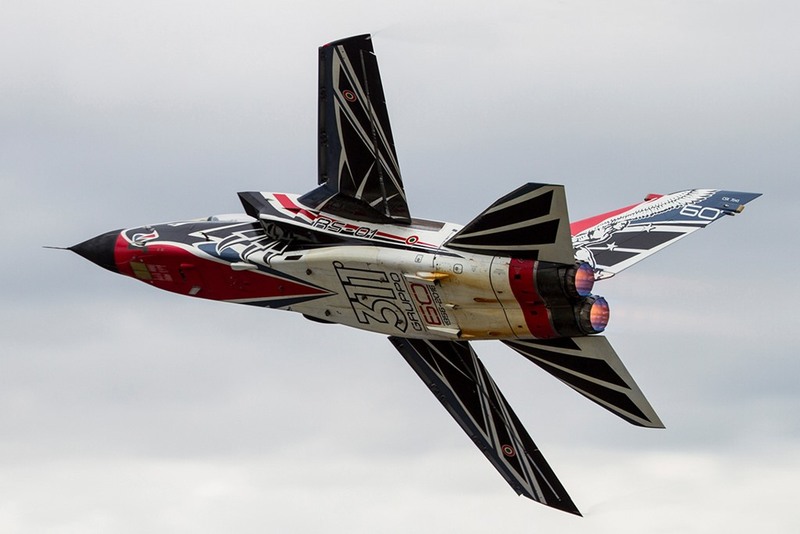 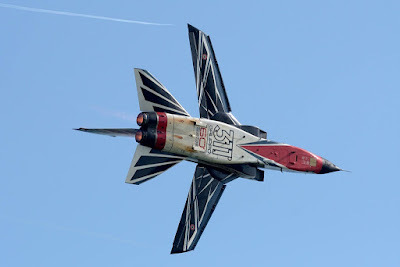 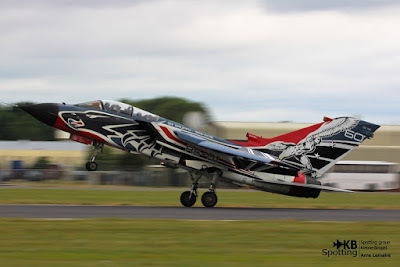 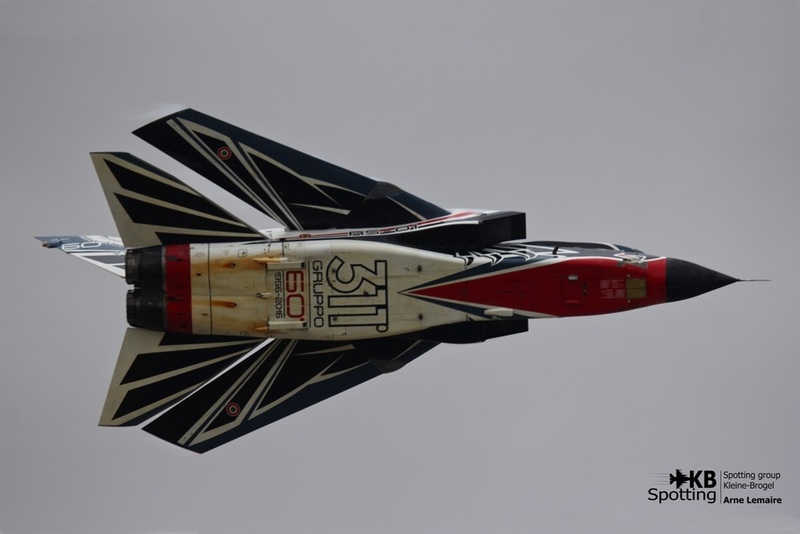 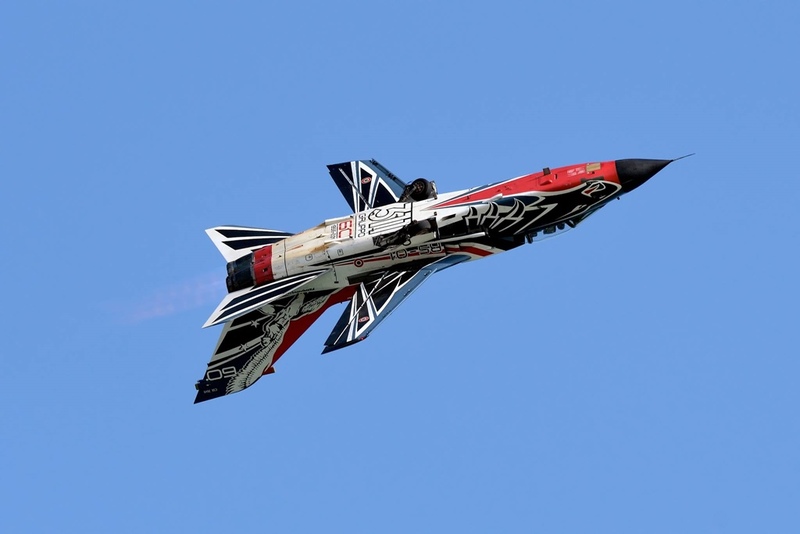 It was also awarded the "Best Presented Aircraft" at the Cosford Air Show and the "Best Paint Scheme" at the Royal International Air Tattoo - RIAT. 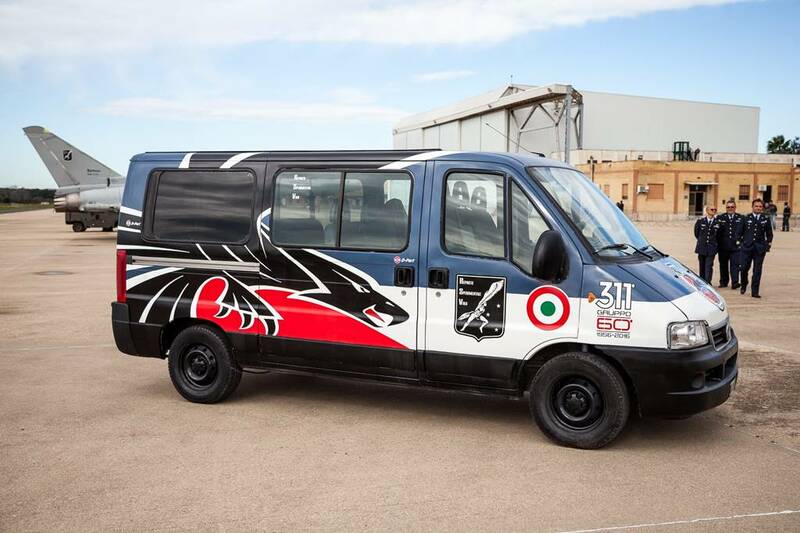 Thanks to Drudi Performance and all friends who have collaborated with us to pay tribute to the 311° Gruppo and the wonderful Tornado.